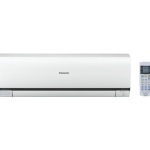 General Air Conditioner Price in Bangladesh - Sony, Samsung, Canon, Nikon, General, Carrier, Panasonic brand collection and LED tv, 3D TV, 4K tv, Digital Camera, DSLR, Air conditioner lowest price Bangladesh. Warranty : 3 Years Compressor, 1 Years Spare Part, 1 Years Free Home Service. (1), General cassette type 1.5 ton price :98000/=, Model :AUG18ABA (18000BTU) Thailand. (2), General cassette type 2.0 ton price :113000/=Model: AUG25ABA (25000BTU) Thailand. (3), General cassette type 2.5 ton price : 138000/= Model : AUG30ABA (30000BTU)Thailand. (4), General cassette type 3.0 ton, price :165000/=,Model : AUG36ABA (36000BTU)Thailand. (5), General cassette type air 4.0 ton price :175000/=, Model :AUG45ABA (45000BTU) Thailand. (6), General cassette type 5.0 ton price : 185000/=, Model :AUG54ABA (54000BTU), Thailand. (1), General ceiling type 3.0 ton price : 175000/=, Model : ABG36ABA (36000 BTU)Thailand. (2), General ceiling type 4.0 ton price :185000/=, Model : ABG45ABA (45000BTU), Thailand. (3), General ceiling type 5.0 ton , price :195000/=, Model :ABG54ABA (54000BTU), Thailand. Warranty Service In Bangladesh : 2 Years Full Warranty – Spare Part , Compressor, Service . 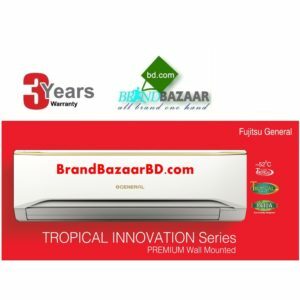 Brand Bazaar is one of the leading Air Conditioning / Air Cooler firm in Bangladesh. We undertake supplying/Installation/Commissioning & after sales service of world Famous GENERAL Brand air conditioners (Split Type , Window Type , Cassette Type, Split Ceiling Type) all over the Bangladesh. Brand Bazaar Also Provide LED / Camera/ Home Appliance (Sony , Samsung , Toshiba, Panasonic, General, Carrier, sharp, Canon, Nikon). Transportation: Transpiration Charge Free in Dhaka City. Split 1.0 Ton Air Cooler Wall Mounted AC. 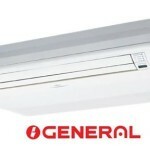 General Brand Split 1.5, 2.0 & 2.5 Ton Air Conditioner. Country of Origin: Fujitsu General Ltd, Japan. 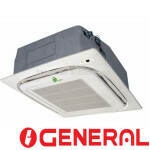 General Brand Split Ceiling Type 3.0, 4.0 & 4.5 Ton Air Conditioner. 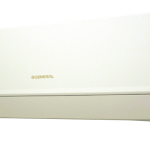 General Brand Split Cassette Type 3.0, 4.0 & 4.5 Ton Air Conditioner. O General Split Type air conditioner performance is very good. But you must buy perfect Air Conditioner for Perfect room. If it is office or Top Floor hen you must buy .50 BTU extra for perfect cooling. O General Split Air Conditioner : Made in Thailand. 100% Brand New Products.